Ancient Vulcan ritual which telepathically links minds to intimately share each other's thoughts and knowledge. 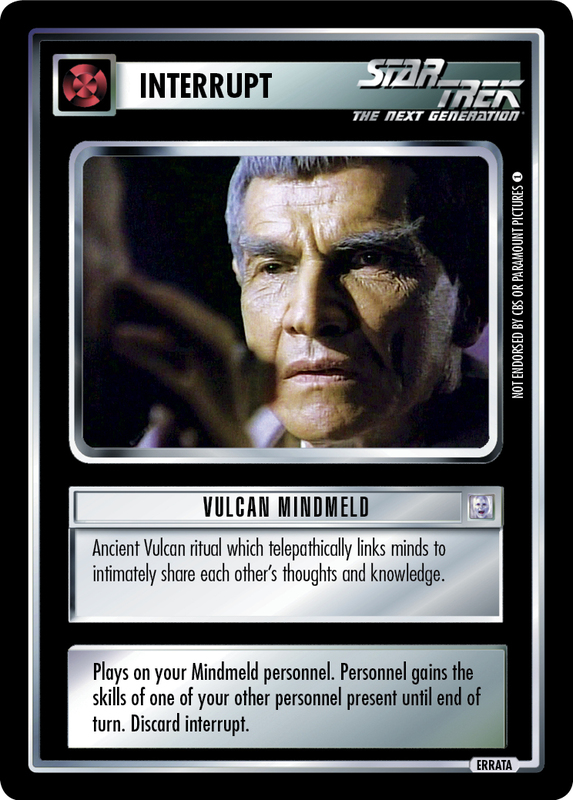 Plays on your Mindmeld personnel. Personnel gains the skills of one of your other personnel present until end of turn. Discard interrupt.